By Spencer Buell·	 2/5/2019, 12:51 p.m. In a development that should surprise no one, Rob Gronkowski spent the Patriots victory parade shirtless, dancing, and generally loving life in exactly the Gronk style we’ve come to expect from the undisputed party king. He got things started swathed in a red-white-and-blue poncho. 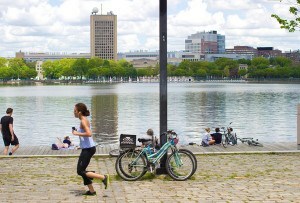 But eyewitnesses confirm he quickly traded that outfit for a bright-yellow police vest, origin unknown. Against the urging of city officials, fans did in fact toss him cans of beer, which he effortlessly snatched out of the air. That wasn’t all he was tossing back. 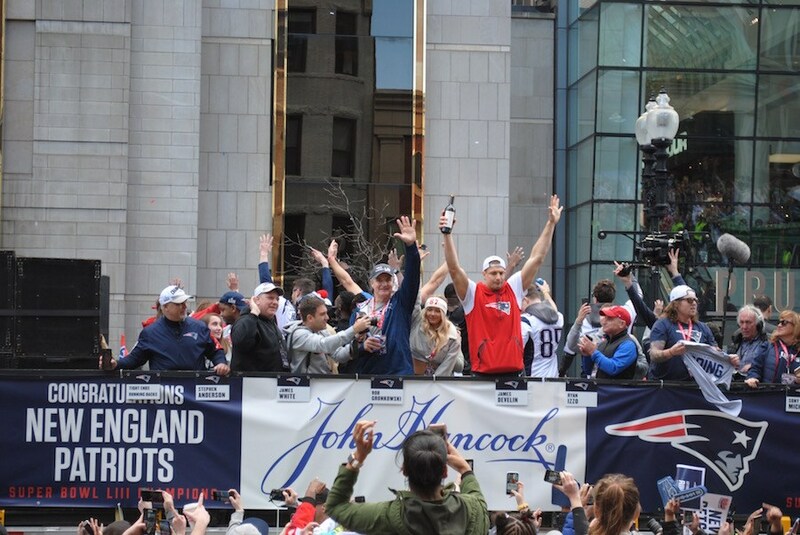 A somewhat more refined Gronk was also spotted along the parade route sipping from a bottle of $600 red wine. Someone apparently also tossed him some Tide Pods, which he thankfully did not eat. So he parties incredibly hard, but not ingesting toxic detergent hard. And that, dear friends, is why we love him. Please don’t ever leave us, big guy.